We were excited when we stopped at the dollar store and saw Cow Tales. 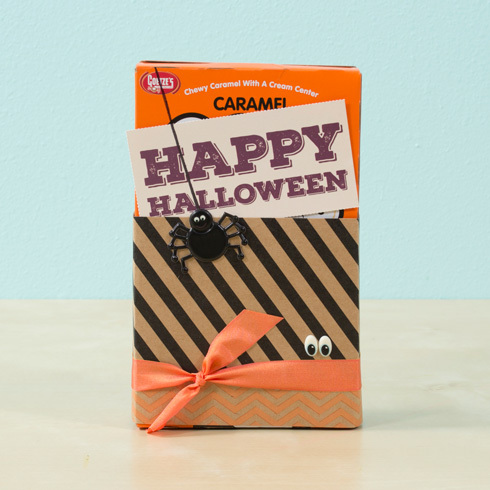 The packaging is perfect for Halloween and we love caramels. So, we just had to grab a few boxes for some extra special trick-or-treaters. We had lot's of ideas of ways to decorate them. So, we will be sharing those on the blog. 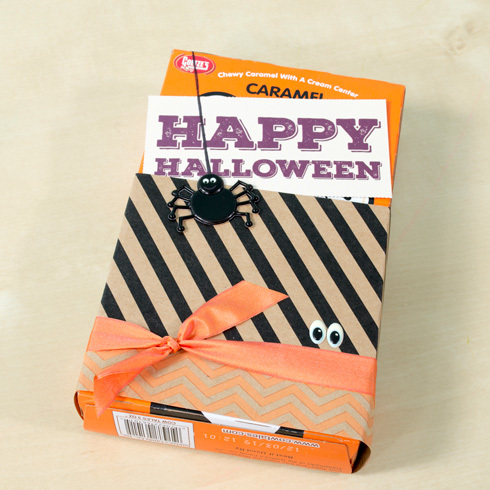 First, we made this one Halloween themed using our kraft classics paper pad. It is still on sale through today for just $5. Hop over to the sale section of our site to get yours. There are 48 pages that work great together. After wrapping it in kraft paper, we added some scraps of ribbon, stickers, and tags. It's a simple, fun way to give a little treat for Halloween.